Capella-GR is ready for GOES-R. Are you? The new generation of the GOES series will render current hardware and software obsolete. The time to begin integrating Capella-GR is now. EEC’s Capella-GR ground station provides meteorologists, oceanographers, government and military agencies, and research organizations with the tools they need to observe, collect, and process data from all GOES-R satellites, depending on their location and the system configuration that fits their specific needs. 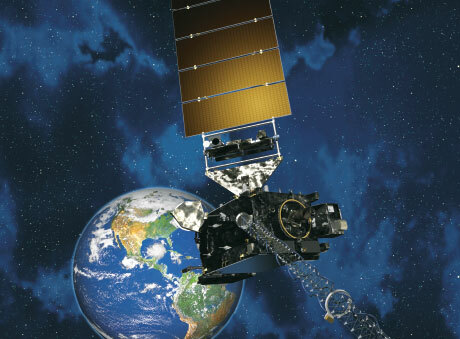 GOES-R—the Geostationary Operational Environmental Satellite-R Series—represents a giant leap forward in weather satellite technology. The satellites will broadcast exponentially higher-resolution data products than the current series, providing improved resolution, increased coverage, and advanced lightning detection among other enhancements. This upgrade will result in more accurate weather forecasting, climate condition monitoring, and ecosystem management, as well as better tracking of solar and space weather hazards. This all-new technology will render current hardware and software obsolete, affecting more than 400 GOES monitoring stations in the Western Hemisphere. Don’t be caught unprepared for this radical change in the dissemination and analysis of weather and environmental data. The time to begin integrating the Capella-GR ground station into your existing systems is now.